We are excited to extend our congratulations to Kristy Montgomery and Eric Sumner after being recognized for their hard work in a job they did for Radford University. The University had kind words to say about everyone involved in a certain project. They highlighted how they had outstanding teamwork and work ethic. Kirby-Vass is very proud of Kristy and Eric! 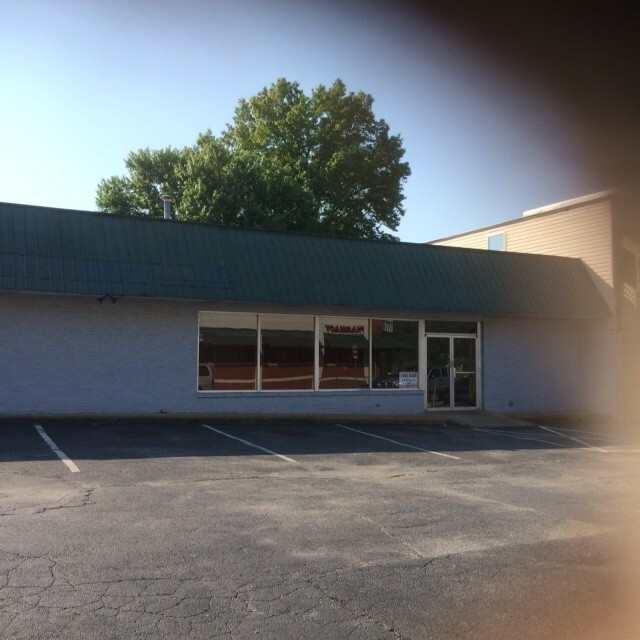 Project Manager Bill Hurd says this is not the first time in recent months that Kristy and Eric have been giving high praise from customers. He said they have done multiple projects for multiple people that have came back with the same result of praise. Good job Eric and Kristy! We are always grateful when the customers appreciate our hard work and craftsmanship. Keep up the good work. Kirby-Vass and Firestop of VA now have a Facebook and Twitter account. We will use these social media tools to help spread the word about things that are going on with both companies along with this website. 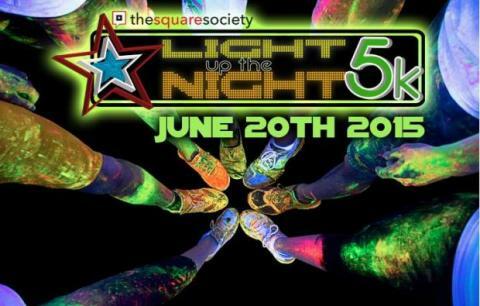 Both companies will be sponsoring the Light Up the Night 5K Fundraiser to support the Square Society. The event is going on June 20 at 8:30 in Downtown Roanoke. Look for more details about the race and how to support the Square Society on their website. Attention Kirby-Vass and Firestop of Virginia Employees: Under the Employee Login page, we now have a Online Timecard Submission Form. Unlike the Excel Form we already offer, this Online Submission Form will directly send your Timecard to Kim once you have filled it out and hit submit. If you have any questions please call the office and Trent will walk you through how to do it. 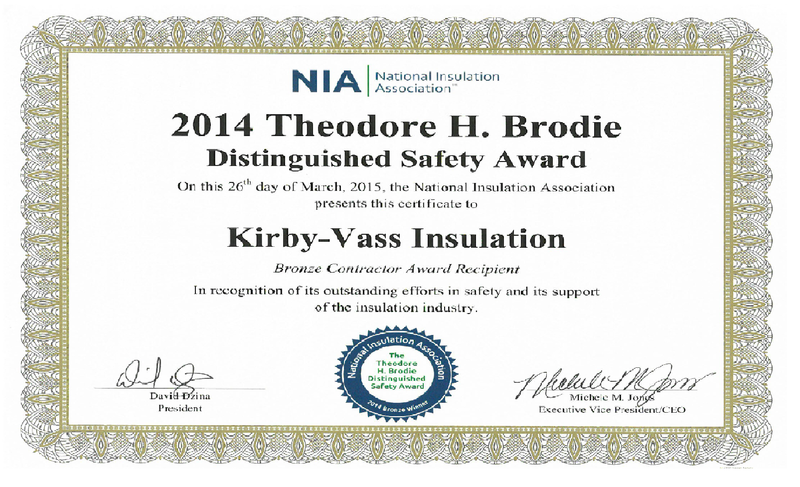 Kirby-Vass is proud to announce that our company was the recipient of the 2014 Theodore H. Brodie Distinguished Safety Award. This award is giving out by the National Insulation Association (NIA) to recognize companies for their outstanding efforts in safety in the insulation industry. 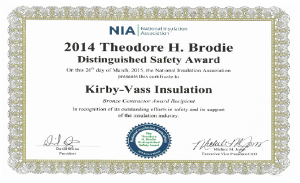 Kirby-Vass Insulation has taken a proactive approach to safety in these past years and we are happy to see the employees’ hard work pay off. Becky Montgomery (Safety Director) and Eddie Montgomery (Foreman) flew down to San Antonio, Texas to receive this honor for our company.There will be a story to follow on how the experience was for Becky and Eddie on their exciting trip.